I’ve been wanting to take shots of frost lately so was pretty pleased when I got home and was able to capture this (yes, it was a little chilly today, this was taken around 3:30 this afternoon). Here’s to tomorrow being just as frosty…enjoy! © Copyright 2011 David Williams. The pleasure was (and iti is) mine. Cornel, thank you very much for visiting as well as for your comment. I hope you liked what you have seen! That’s a fabulous image – I love your composition, the cool tones and the depth of field. Great work! chilly capture….liked the bokeh effect!! Frost is such a great subject – one of the best parts of winter! Love the colors besides the bokeh. 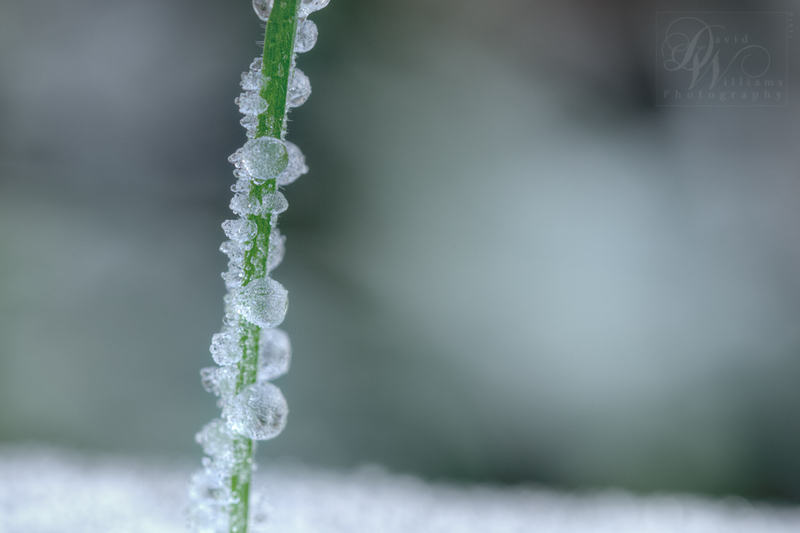 I love the detail of the frost and the hairs on the stem, and then the beautifully soft, out-of-focus background. Very nice indeed! Great capture. I can see little bubbles inside the ice. Awesome. Looks like rock candy.